FFG Flensburger Fahrzeugbau Gesellschaft has won the contract on the production of 75-150 Armoured Combat Support Vehicles (AGSV) for the Norwegian Army.This vehicle was originally called M113F4, and was pretty much an elongated M113F3 with a shorter superstructure to allow for various types of modules to be fitted in the back (similar to the Australian M113AS4), such as an Arthur artillery hunting radar module, a SHORAD module with a launch unit for IRIS-T missiles + a multi function radar, and a logistics variant with a 10 foot ISO container. In addition, there is supposed to be an electronic warfare variant that has a full superstructure. 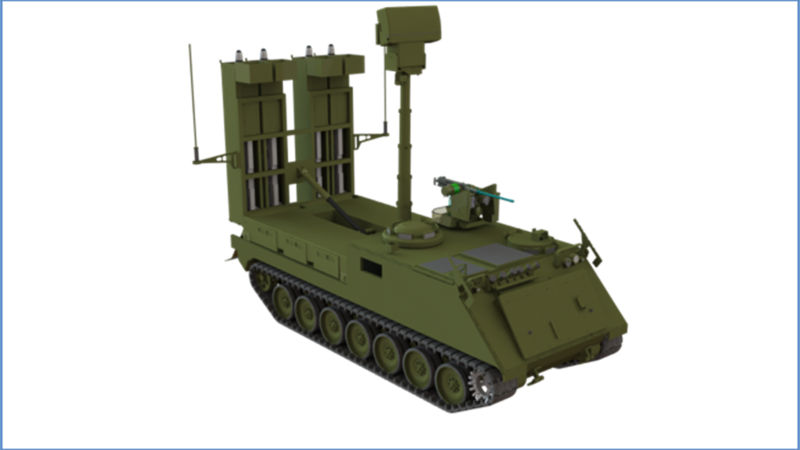 An earlier computer model by KDA showing how a new SHORAD vehicle based on the M113F4 could look like. Rather than let the Army’s workshop in Bjerkvik handle the production of these vehicle as has been the case in the past, they decided to outsource the production to FFG. IMO this makes sense considering that there is an urgent demand for these vehicles, especially the SHORAD variant, and the earlier Project 5026 ended up being completed way behind schedule. 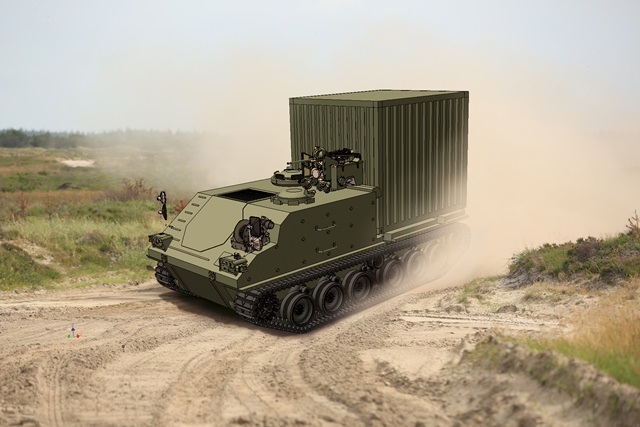 In any case, Bjerkvik will probably get some work anyway since FFG is also delivering additional upgrade kits to bring M113A2/M577A2 up to F3 level, in addition to the new ACSVs. Speaking of which, it also seems like FFG has made a lot of changes to the original M113F4 design, and it now appears to be more similar to their PMMV G5. The new Armoured Combat Support Vehicle. FFG is having success in Norway these days. In addition to this contract, they're also producing 6 Leopard 2 based Wisent 2 ARVs for the Norwegian Army, and will probably receive an order for 6 more in the AEV configuration to replace the Leopard 1 based NM189 INGPVs. The delivery of the first Wisent 2 to the Norwegian Army happened in September last year. I`ll never understand why we could not have used the surplus CV90 hulls for the new SAM vehicles rather than the "Reodor Felgendized" M113 variants. Does it make sense to basically fully rebuild from the ground up the vintage M113 hulls instead of just buying e.g. new PMMV G5? Well, the article claims that the ACSV is technically based on the G5, so we might actually be looking at essentially new vehicles here. On the other hand, it certainly was supposed to be based on the M113 back when the tender was launched a few year ago, and if that is still the case (the vehicle in the picture looks M113 based to me even if the superstructure is different), then it's probably because it's somewhat cheaper than completely new vehicles. Dunno, but for what it's worth, the Swedes aren't putting their IRIS-Ts on CV90s either, but have instead chosen the BV 410. 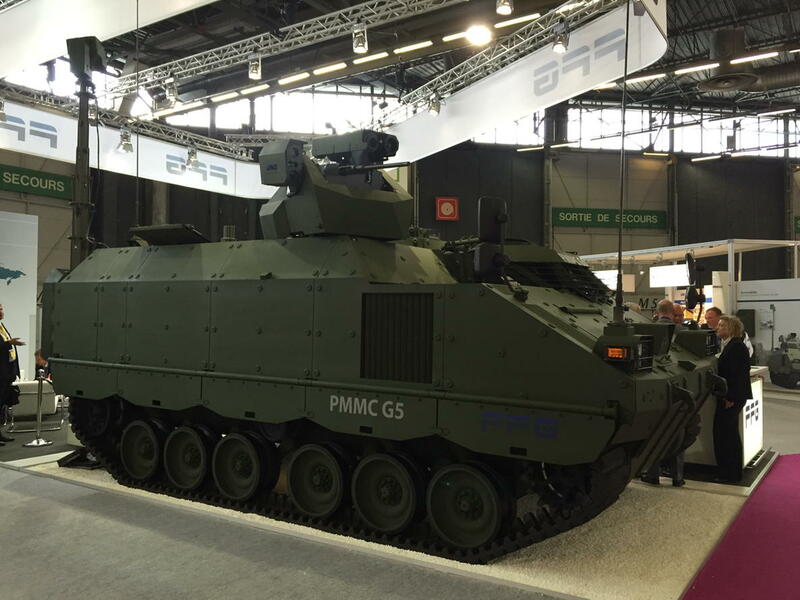 Edit: The ACSV based SHORAD is almost certainly going to be lighter and cheaper to operate than a CV90 based variant, and since the Norwegian Army were going to order these vehicles anyway (the SHORAD variant is actually the most recent addition), I guess it made sense to opt for this solution. Edited by Laser Shark, 02 June 2018 - 1630 PM. Any information on the IRIS-T loadout on the BV 410? Having looked at the ACSV image for a while, I now wonder how much of the old M113 is actually left in this design. The suspension seems to be ripped from the G5 (I did not notice this initially), and the hull/superstructure looks different enough from the M113 that it probably has to be built from scratch. What was initially intended to be a stretched M113 might have turned into a new vehicle from the looks of it. I guess we'll be able to tell for certain once the completed prototype is revealed. Giraffe 1X radar array. Sad that this variant does not have the trademark long neck. But more seriously, why are the missiles not in containers? Considering the bad weather in Sweden, containers should be better for the longevity of the missiles. The Norwegians will apparently be getting six of these systems. AFAIK they do not deploy MANPADS of any kind, or SPAAGs, so they will be their entire frontline air defence. According to Wiki the Swedes are going to deploy the Bv mounted IRIS-T as a replacement for RBS-70. I do wonder if entirely replacing, rather than supplementing RBS-70 is a great idea as the latter was essentially unjammable and was very portable and easily concealable. I would wager it was considerably cheaper too. The Norwegians will apparently be getting six of these systems. AFAIK they do not deploy MANPADS of any kind, or SPAAGs, so they will be their entire frontline air defence. I would like to stress that the exact number of SHORAD vehicles is not set in stone yet (reflected in the OP where it’s mentioned that we may buy as many as 150 ACSV or as few as 75), but 6 ACSV with IRIS-T missiles and 3 HMLs with AMRAAM missiles is regarded as the bare minimum needed to form an AA battery. That said, it has also become apparent that we'll probably need more than that since it’s not only the three maneuver battalions that need AA coverage, but also the new cavalry battalion that will be stationed in the Garrison of Porsanger in Finnmark (where AA is more necessary compared to Indre Troms where most of Brigade Nord is located). In addition to this, there is also an ongoing project with the aim of acquiring MANPADS for units in Finnmark (see Project 5091 on page 27). Edit: For some reason the English version of the future acquisitions document only mentions "air defense systems", but the Norwegian version clarifies that we're talking about handheld systems. Edited by Laser Shark, 03 June 2018 - 1347 PM. Could the old rebuilds vs new be an issue of the unit cost for things like M113 parts given how prolific that design is and the competitive nature of the market for parts for that family of vehicles is? Those are definitely factors that have contributed to the M113’s longevity, and that’s why I was also bit surprised when I discovered that Norway may have ended up acquiring a vehicle that does not have all that much in common with our M113 fleet (even though that was clearly the goal initially). But I suppose all things must come an end eventually, and there are several countries who are looking into replacing their M113s, so maybe someone in the Norwegian Army looked at this ACSV and saw something that could potentially replace our ones in the long term? Edited by Laser Shark, 03 June 2018 - 1551 PM. My thinking is that there's so many M113s out there that there must be 20 different re-power packages or so for them. From ones from FMC to Israeli companies to many other smaller shops. That alone will make for a lower cost package I should think. Iris-t is rail mounted, meaning it will have external hanger brackets. The basic IRIS-T is unmodified from the air-launch version, so the rail stays, so no container. Not to mention that a container makes pre-launch acquisition difficult for an IR seeker, although LOAL may be possible. Compare with CAMM, which although somewhat similar to ASRAAM, is containerised and has no external hangers. Also folding fins. Edited by DB, 04 June 2018 - 0506 AM. The misdiles shown in that lancher config are blunt nose rail mounted. Also, be careful of taking range and ceiling estimates from *all* manufacturers at face value, and those from media/fanboi sites doubly so. Its difficult to see how IRIS-T could be comparable to CAMM rangewise given the much smaller body diameter, for instance. Wouldn’t a solution like the one shown on the M113F4 in the OP solve these issues though (i.e. it looks like the rail is simply integrated into the container and it can also remove the front cover)? Also, I’d like to add that the reason why the IRIS-T has been chosen for our maneuver SHORAD probably has a lot to do with the fact that a good number of these missiles are becoming available with the retiring of our F-16 fleet (the F-35s will be using AIM-9X instead). DB, given that the launchers are not trainable, would lock on before launch even be possible for the Swedish, non container variant? IRIS-T SL exists in two variants: IRIS-T SLS (surface launched, short range) and IRIS-T SLM (surface launched, medium range). 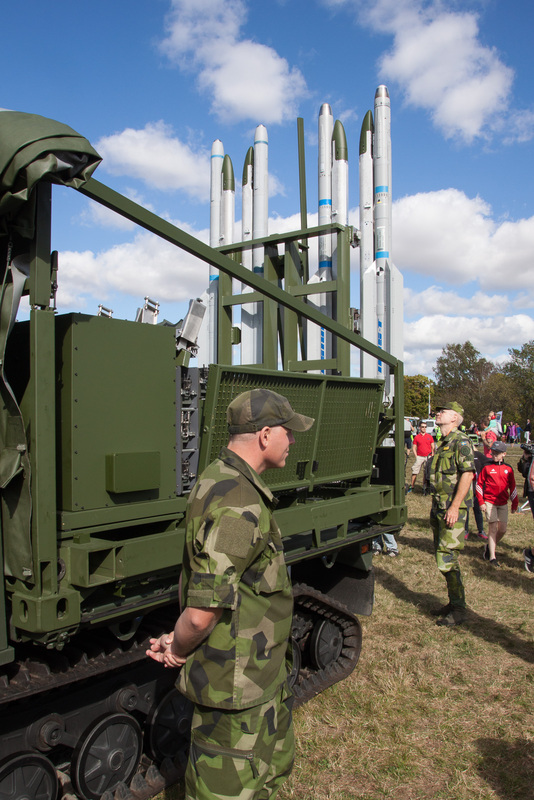 Sweden has purchased the low-cost IRIS-T SLS system, which uses an unmodified IRIS-T missile. For countries that use the IRIS-T with their jets, it provides logistical benefits. IRIS-T SLM uses an enlarged missile with greater length and diameter (152 mm instead of 127 mm) in order to fit a larger rocket engine into the missile. Both IRIS-T SL variants rely on an infra-red seeker, there is no radar seeker. The SLM variant has an aerodynamic cap (which will be discarded at some point during flight) and a GPS datalink, which is used to guide the missile towards the target until the infra-red seeker can track it. There also was a third SAM based on IRIS-T, the canceled LFK NG for the German army. It was designed with a smaller diameter (110 mm) and shorter body to replace the Stinger on the Eurocopter Tiger and the Wiesel 2 Ozelot. It was meant to feature a penetrating (shaped charge) warhead to enable the Tiger using it against lightly/medium armored vehicles.